I know home: it’s St. Clair West but belonging here today is the germination of seeds planted decades ago. For those, like me, who have lost their place in the world, finding it again becomes a journey, a quest to feel rooted. I was a ship at sea that sometimes glimpses shore, but never finds land. Home was once Santiago, Chile, but it was torn apart by the violence of a military coup, turning our world into ash. 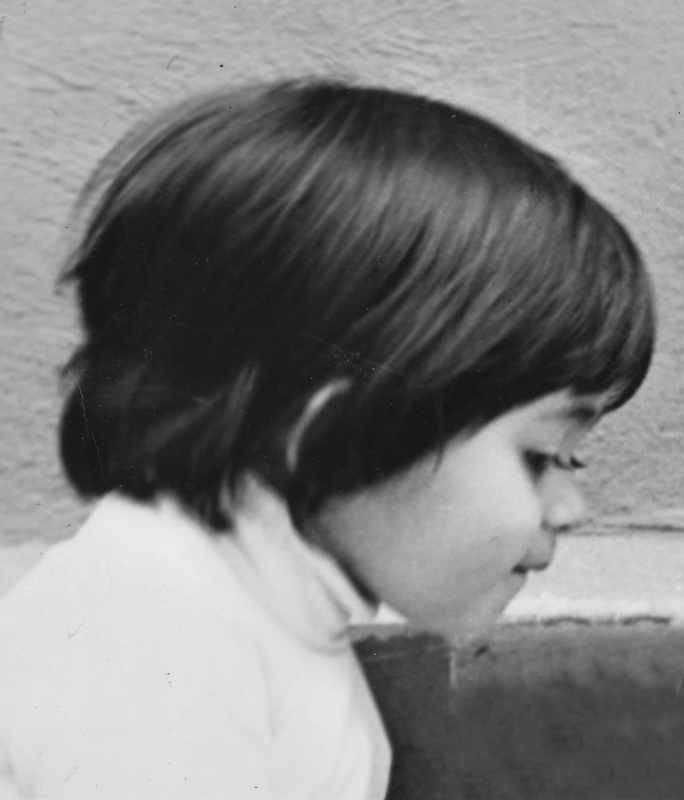 We boarded a plane and left two days after my third birthday, travelling over a long night from a Santiago winter to a Toronto summer in 1974. 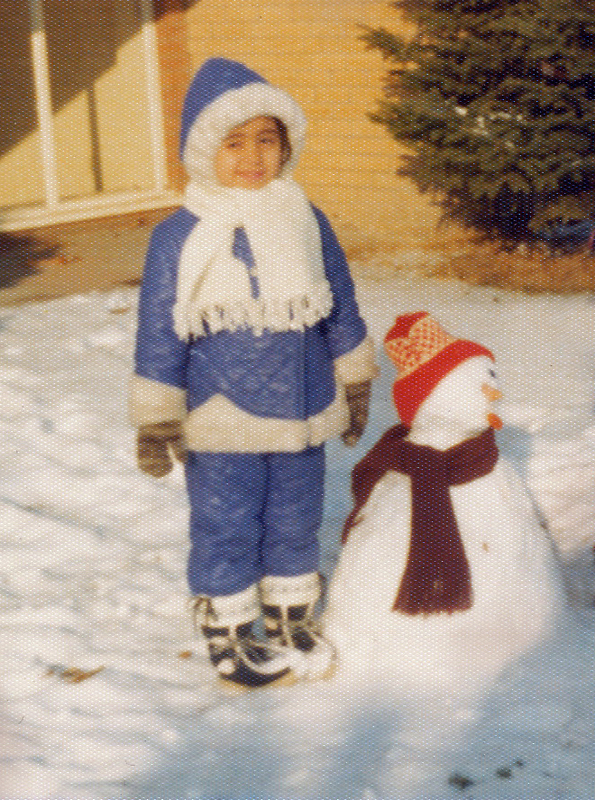 They call it a landing but for our family, it was more like a ‘crash’ at Pearson Airport and into an unknown city. We were carrying the burden of loss and grief: things both monumental – family, country, faith – and trivial – the elements of everyday life. Like my mother’s expression when she ordered her morning café only to be brought a black coffee with tall glass of cold milk on the side. A detail yes, but here was compounded the knowledge of one’s foreignness. In those little details we also found a reprieve. When a veteran of exile, who had been in Toronto a whole six months, told my parents about a place called St. Clair, they made the trek from central Etobicoke. Theirs was a sigh of delight when a cappuccino, alongside a tiny glass of mineral water, was placed before them. 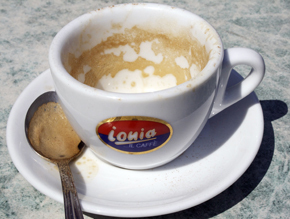 This cappuccino on St. Clair was a small, soothing bit of normal, everyday life. Toronto was meant to be a temporary place to bide our time. Any day the dictatorship would fall and we would return to Chile. After waiting expectantly for five years our family decided to go back although the dictatorship was still intact. It’s curious, the workings of a child’s memory. Mine had been wiped clean of our Chilean home. My conscious memories were only of Toronto. It wasn’t until we had plane tickets in hand and heading back to South America that images of the journey to Toronto and of my home in Santiago before we left began to surface in my dreams. Like a cinematic technique, I recovered my memories in reverse. They started with the flight from Santiago, then the wrenching goodbyes at the airport, followed by more meaningful memories: looking from my grandmother’s house in Franklin, Santiago out onto a sun-filled street, or my cousin playing a peek-a-boo game. I was recovering part of myself. The warm embrace of our extended family was awaiting us on our return to Santiago. I found living in Pinochet’s Chile both terrible and wonderful. Repression was everywhere, but I also found it exhilarating to identify with kindred spirits at school. We were hidden, but we weren’t alone. It was an uneasy existence and, for my family, it became unsustainable. And so once again, everything we were was packed into a suitcase for our return to Toronto. The bitterness of our imminent departure had been somewhat blunted by a major distraction that was captivating the entire country. The World Cup of soccer was taking place in Spain in 1982 and Chile had qualified. We were all glued to our televisions, watching Rossi, Zico, Platini and Yáñez. Halfway through the tournament, we left Santiago in winter, once again. I felt completely lost, so uprooted that I had a sense of being weightless. I’d left my extended family, my school, my friends and something more. The World Cup had created an opening, for the first time since the military coup, for Chileans to voice their opposition and resistance to the dictatorship. I mourned that I would never be able to participate in the protest movement that would inevitably bring down the regime. I discovered, however, that Toronto was just as gripped by World Cup fever as was my family and, to my delight, we joined those tens of thousands on St. Clair for the street celebration of Italy’s win. We had made our own flags with crayons and as we walked around hugging strangers and running into old friends, the clouds lifted, at least on that day. Today I know I am home and here is what makes it so. I know the school where my children learn, its sounds and rhythms. I know the neigbours that have become like family. I cherish the faces on the street that are no more than familiar. There is no urban anonymity here. There is Enzo asking after my mother when she fell ill. There are others asking about my children when they change their route to school. Tall boys with their hoodies pulled up walk my daughter home from the streetcar stop after dark. My children play in the street. We are safe. We are here for good. It was inevitable that my journey would end on St. Clair West after decades of searching for something familiar. It took a long time to hang pictures on the walls of my house, knowing, really feeling that there would be no imminent move. It is finally finding the shore, feeling firmly planted in one place. Once I ‘owned’ what was happening at my children’s school, in our streets, in the city where I live, the deepest roots took hold, and with that the certainty that this isn’t only the place where I live, but where I belong. 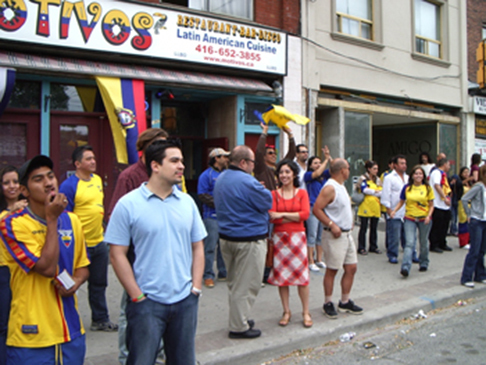 Tags: immigrant Toronto, Italy World Cup, Pinochet, Santiago, St. Clair West, street celebration, Toronto streets. Bookmark the permalink. Previous post ← A PLACE TO STAND, A PLACE TO LEAVE? How in the world did I end up in Australia?